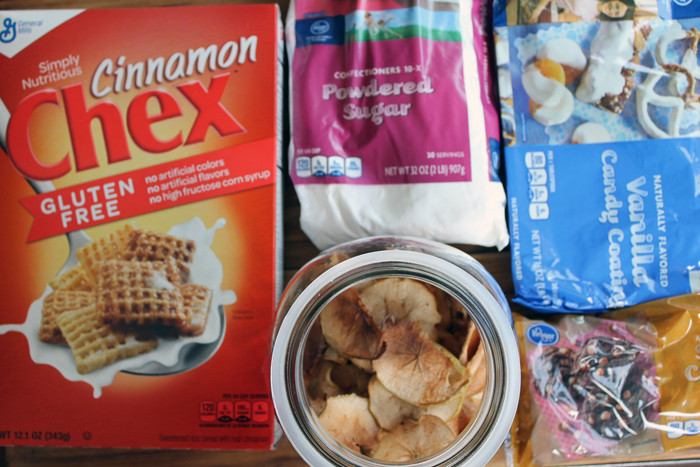 Give my caramel apple muddy buddies a try this fall. You will love the sweet fall flavors in this great recipe. Plus it is super easy to make! This is the perfect snack to keep on hand all season long. Grab a handful anytime of the day. This post is sponsored by Ball Canning however all projects and opinions are my own. You will need apple chips for this recipe. 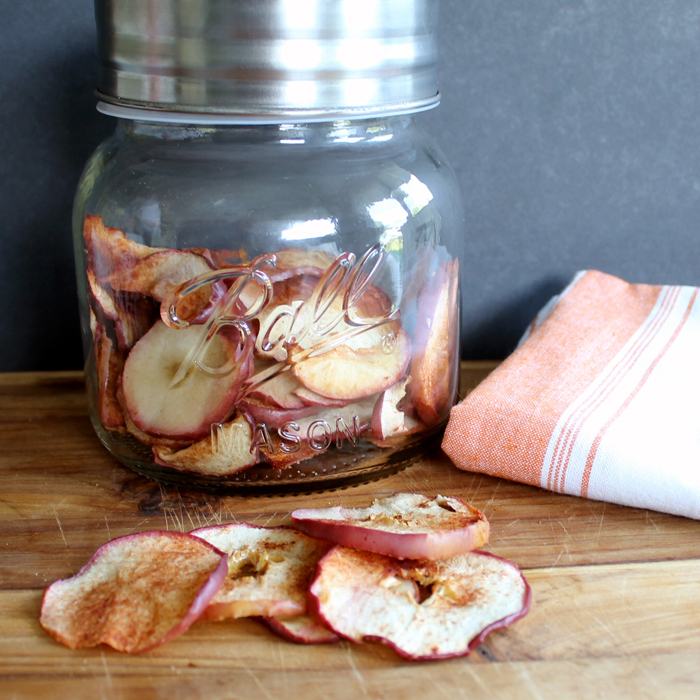 I have a wonderful homemade apple chips recipe for you! Click here to get the recipe on the Ball Canning page. You will love this super easy recipe! Make them to add to your caramel apple muddy buddies or just keep them in a jar for a snack. Heat candy coating in microwave according to the package directions until melted. Add to cereal in a very large bowl. Stir quickly to coat cereal. Add coated cereal to a large ziploc bag. Seal bag and shake until all of cereal pieces are coated. Add in apple chips and caramel bits. 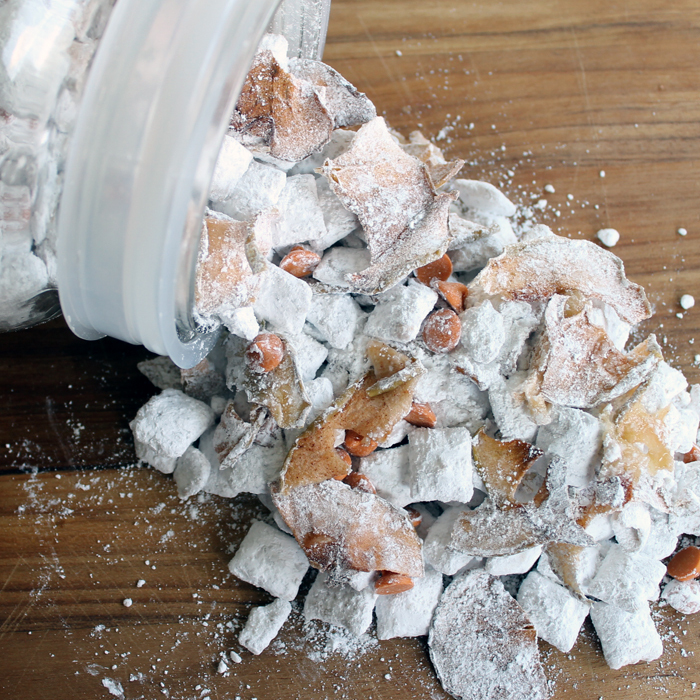 Add muddy buddies to a lidded container. 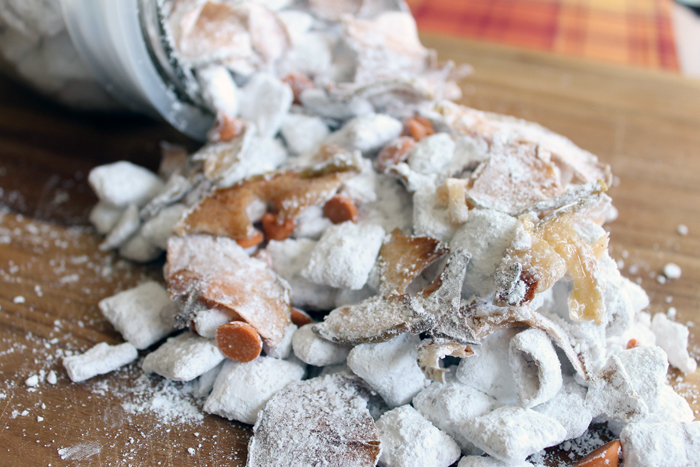 Remove excess powdered sugar while adding to container. You will love these caramel apple muddy buddies! This is basically a half batch but you can definitely make a full batch by doubling the recipe. Your kids will love the sweet flavor of this mix after school. Keep some on hand in a large Ball jar for easy reach. Caramel and apple together? Yes please! If you have never had muddy buddies, you are missing out! Mix up a batch of caramel apple muddy buddies for your family. This looks like such an easy recipe and one that would definitely disappear quickly in this house! I’m definitely going to be trying this out once the weather cools down a bit! Thanks so much for all of your great ideas! These would be dangerous for me! My kids love Muddy Buddies. This is a version we’ll definitely have to try! 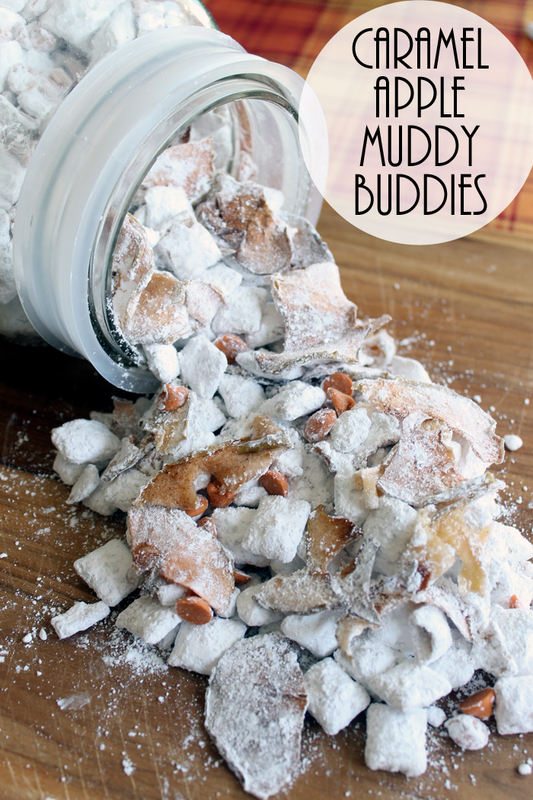 I love Muddy Buddies so I will have to give this a try very soon! Your Apple Muddy Buddies look fantastic! Hope you are having a great day and thanks so much for sharing with Full Plate Thursday.